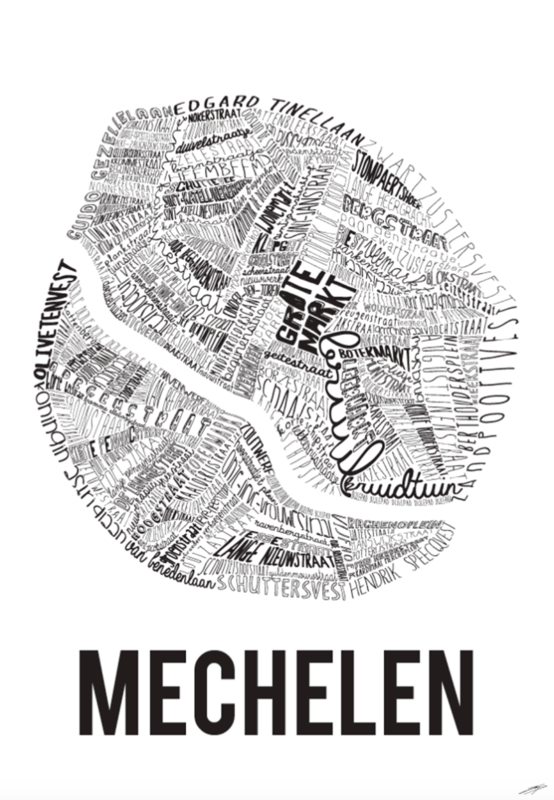 A poster with a wow factor that will look good in any home in Mechelen. 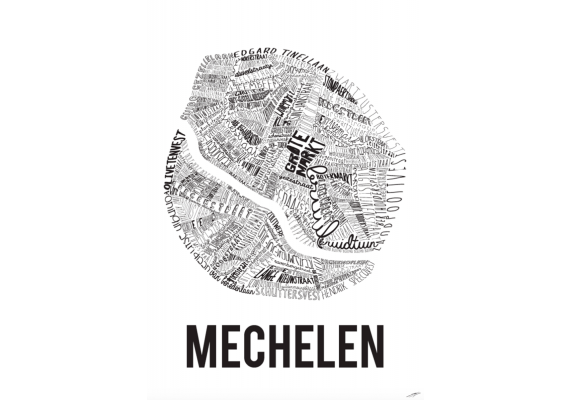 These city posters were designed by the young designer Thomas Haine. He is inspired by the maps of cities. The result is this fascinating poster. Also available for Ghent, Antwerp and Leuven. Dimensions: 70 x 100 cm.